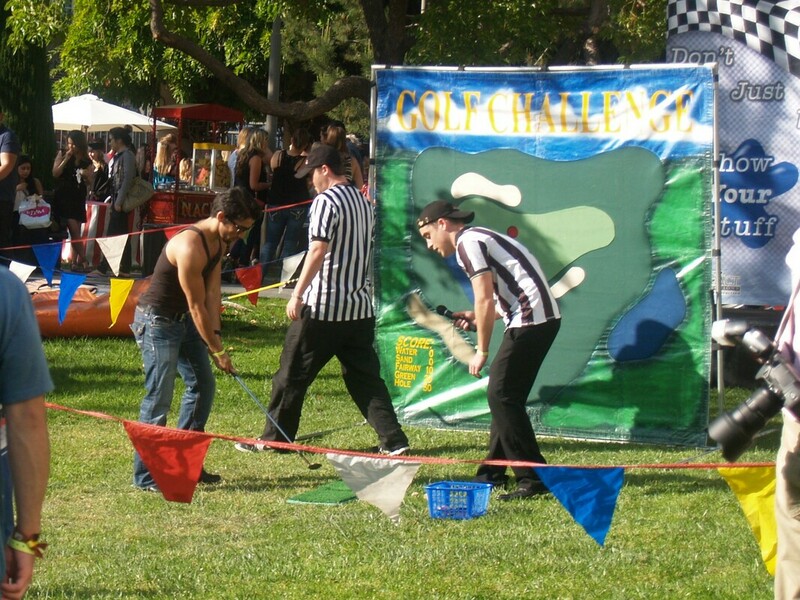 Golf Chip Challenge - Interact Event Productions - Corporate Event Planning at Wholesale Prices! So you think you got game? So step up and put Tiger to shame! Another fun sports challenge. 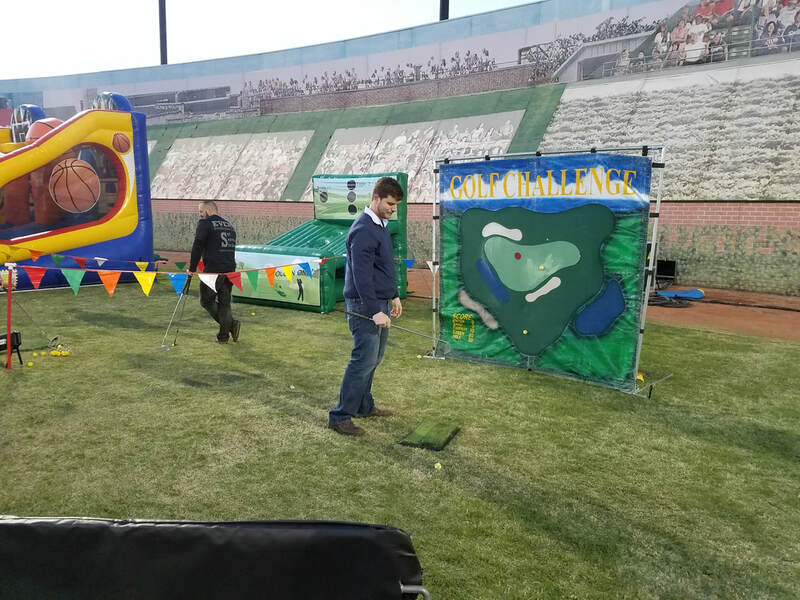 Contestant is given 3 velcro whiffle golf balls and a real golf club to try to hit the balls onto a velcro board outlining a golf course. Prizes are given if the ball(s) land on the green. Customized Velcro Backdrop, Digitally Printed Custom Attraction Sign, Golf Chip Grass Strips, Golf Clubs and wiffle Golf Balls. This pairs perfectly with our other golf and sports themed attractions.